There is a new Hasbro toy coupon available! 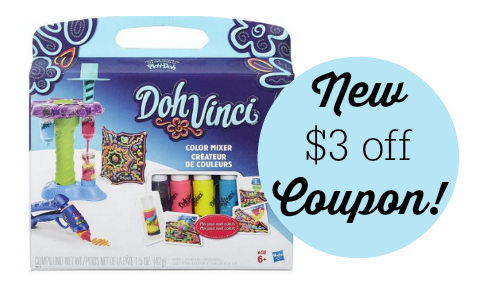 You can get $3 off a Dohvinci color mixer. This kit sells for around $14.99, making it $11.99 after the coupon. The Dohvinci color mixer has a Styler tool and Deco Pop tubes filled with design compound to make all kinds of cool designs with bold 3D lines.